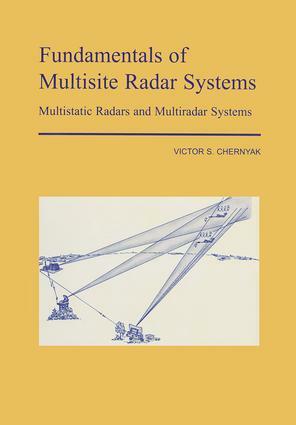 This is an original and comprehensive monograph on the increasingly important field of Multistatic Radar Systems. The material covered includes target detection, coordinate and trajectory parameter estimation, optimum and suboptimum detectors and external interferences. The practical problems faced by those working with radar systems are considered - most algorithms are presented in a form allowing direct use in engineering practice, and many of the results can be immediately applied to information systems containing different types of sensors, not only radars. This book is the revised international edition of Chernyak's renowned Russian textbook.